Catherine teaches maths and science in Kampala, Uganda. In 2014, her district won a National Science competition with her project of Pythagoras’s chair. Also in 2015, under her guidance, the school won a regional science and mathematics competition. Catherine is passionate about girls’ education. 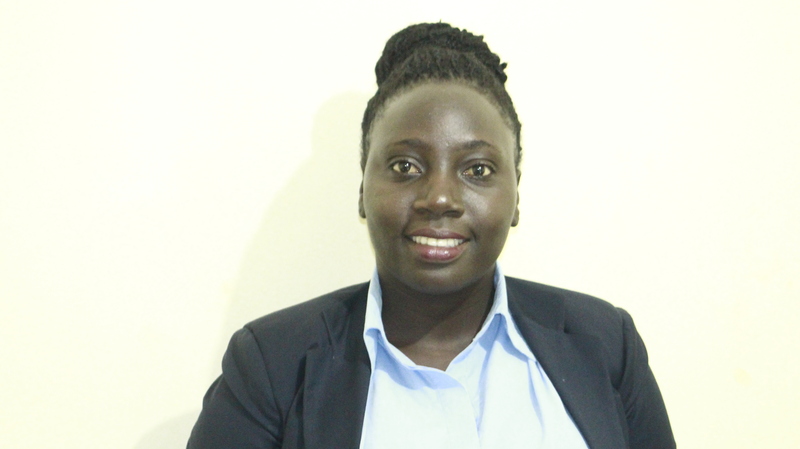 She has helped her students to establish a number of successful school businesses that help them learn valuable life skills as well as strengthening their academic skills such as maths through working on the accounts. As a member of the National Menstrual Hygiene Committee in 2016, she was able to organise the International Menstrual Hygiene Day at her school. The day brought together over 15 partners dealing in WASH issues in the country and the Ministry of Education. Every girl at her school was given free kits of 500 pads by an organization called Afripads, which deals in reusable pads. This solves the problem of lack of money to buy pads, since many of Catherine’s students come from poor families. In 2017, Catherine was selected to be the chairperson of the events committee for organizing the international day of Menstrual Hygiene by the Ministry of Education and Sports. Catherine was also a member of the National Organising Committee of the International Day of the Girl Child in Uganda. She was on the child participation and mentoring committee. There, her job was to organise and mentor girls through capacity and confidence building sessions. The aim was to prepare them for a child symposium day attended by over 1,000 girls from seven districts of the Northern part of Uganda. Catherine trained girls in how to be confident when presenting.